She was the first Western woman to freely visit the sultan of Turkey’s Seraglio. Five months pregnant and dressed as a man, she was the first woman to attend a political ceremony in the Ottoman court. She brought the smallpox vaccine to Turkey, was held hostage by Napoleon, and was instrumental in bringing the marble sculptures from the Parthenon to England. Yet Mary Nisbet, the one-time Countess of Elgin, was buried in an unmarked grave. 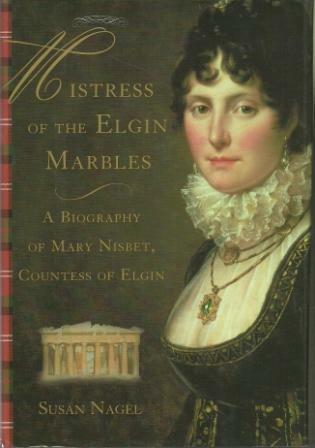 Susan Nagel’s biography of Mary Nisbet tells of this remarkable woman whose name is scarcely remembered today, except insofar as it is connected with the Elgin Marbles. Born to great wealth in Scotland in 1778, Mary lived a life of acclaim and notoriety that soured along with her marriage to Thomas Bruce, the Earl of Elgin. Thomas was an ambitious man whose own funds could not keep up with his demands. When he met and fell in love with Mary Nisbet, he gained the wealth that enabled him to accept a position as ambassador to Turkey. Besides bringing her fortune to the match, Mary also brought a vivacity and energy that charmed everyone she met. Her parties and her lively spirit made her irresistible to the Turkish officials whose confidence her husband needed to gain. Their years in Constantinople were happy and exciting ones, and their marriage seemed perfect. 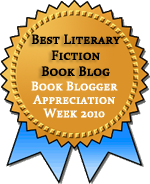 The only difficulty was the toll that pregnancy seemed to take on Mary’s health. When Thomas’s service as ambassador ended, the couple traveled to Greece where they were able to get directly involved in a project they were funding to sketch Greek antiquities. It was at this time that the Elgins received permission from the Ottoman sultan to remove the famed marbles from the Acropolis. Because her husband was off on a tour at the time, Mary was actually the one who ensured that the marbles were removed and that ships for transport were made available. According to Nagel, this was, for Mary, an act of devotion to her husband, and the letters excerpted in this biography show how ardently Mary wanted her husband’s praise for these efforts. After their successes in Turkey and Greece, the pair traveled to France, and Napoleon, seeking redress for the capture of one his officers, decided to detain them there. During this period, the two were often separated, with Thomas sometimes being imprisoned while Mary had the freedom to go where she wished, often with Thomas’s closest friend, Robert Ferguson. It was at this time that the cracks in the Elgin marriage started to show. Thomas expressed fury at the rumors that Mary had taken up with another man, and Mary was frustrated at Thomas’s spendthrift ways and his insistence that she continue to have children, regardless of the effect on her health. Eventually, the marriage fell apart under the strain. Upon returning to England, the Elgins made headlines not for their achievements, but for their scandalous divorce. Divorce laws at the time offered Mary little protection. Fortunately, however, her parents were alive, and she had not yet inherited the whole of her fortune, so her husband had no claim upon that. Her children, however, were lost to her, and her chief solace was her relationship with Robert Ferguson. Every now and then, passages like this one made me wince, but the story is so interesting that it wasn’t a big deal. A more serious issue was that I think Nagel loved her subject so much that she couldn’t help but take her words at face value. In the portion of the book that focuses on the divorce, Nagel never seems to question Mary’s own version of events, no matter how suspicious the circumstances are. To be sure, Thomas Nagel sounds like a selfish piece of work, especially given his actions after the divorce, but that doesn’t mean that his charges of adultery didn’t have some basis in reality. On the question of the Elgin marbles, Nagel does write a bit about the controversy, and again she is careful to keep Mary free from guilt. Here, her approach is to explain the various positions people have held regarding the removal of the marbles without passing judgment on any of these positions. Nagel’s own view is unclear, but what is clear is that Mary herself was acting out of love for her husband without considering the political ramifications. The implication is that Mary herself is guilty only of loving too much. Nagel’s attempts to exonerate Mary from any charges of wrong-doing make the book seem more like hagiography than biography. I wish she had been more willing to ask tough questions about Mary herself, but given how history has minimized women’s contributions and villainized women for their weaknesses, I suppose it’s not a bad thing to shower a few historical women with nothing but praise. Nagel’s account, even if one-sided, does bring a little-known woman to the public’s attention, and that is a very fine thing. I hate to see really fascinating subjects done not quite as well as they could be. I actually think a biography (even of a woman!) is much more interesting when flaws are revealed as well as strengths. It sounds like this one would have been right up my alley if it had been a little more analytical! I agree. I’m not sorry I read it, because Mary does seem like a fascinating and admirable woman, but I found I couldn’t quite believe in Nagel’s version of her. Funny that we both read this at the same time–and totally randomly since it’s not new or anything. And I picked up on the amorous relationship vs not getting pregnant thing too. I assumed they were using some of the birth control methods Nagel discussed earlier, but it was weird that Nagel didn’t pursue that angle at all at that point. She just went with Mary’s account. Oo, fascinating! I have never heard of this woman before, and she sounds rather amazing. I hardly even mind if she did cheat on her husband. :p I wish someone had published her letters, as I bet those would be really cool to read. She does seem amazing, and I had the same thought about her letters, especially when Nagel talked about how letters of that period were often written specifically to entertain. Actually, her letters WERE published! Very hard to find, though, and probably not a complete set. That is very good to know! Thanks, Aarti! One question–how did she get the vaccine to Turkey in the days before refrigeration? I love “warts and all” biographies, but you’re right that it’s a hard balance, and I can understand wanting to be effusive about someone people haven’t heard of at all. Nagel doesn’t get into details about actual transport of the vaccine. It might even be that she didn’t phyiscally transport it so much as convince Turkish doctors to start making and using it–so bringing the idea of universal vaccination really. Nagel’s attempts to exonerate Mary from any charges of wrong-doing make the book seem more like hagiography than biography. I hate it when this happens; but what a fascinating woman! I hope someone will do her story justice (even more justice?) in the future. She would be a great figure for historical fiction or a movie! This is a book which sounds absolutely fascinating. Apart from the Marbles, the travels themselves and the stint in Turkey must be very good reading. The parts in Turkey were really interesting, as were, oddly enough, the parts about the divorce when Nagel pointed out the contrasts between Mary’s experience and rights and what a woman in Turkey would have faced. It’s too bad the tough questions weren’t tackled. This subject sounds so interesting, and I wish it would have been done more successfully. It is too bad. I’m glad that someone wrote her story though!